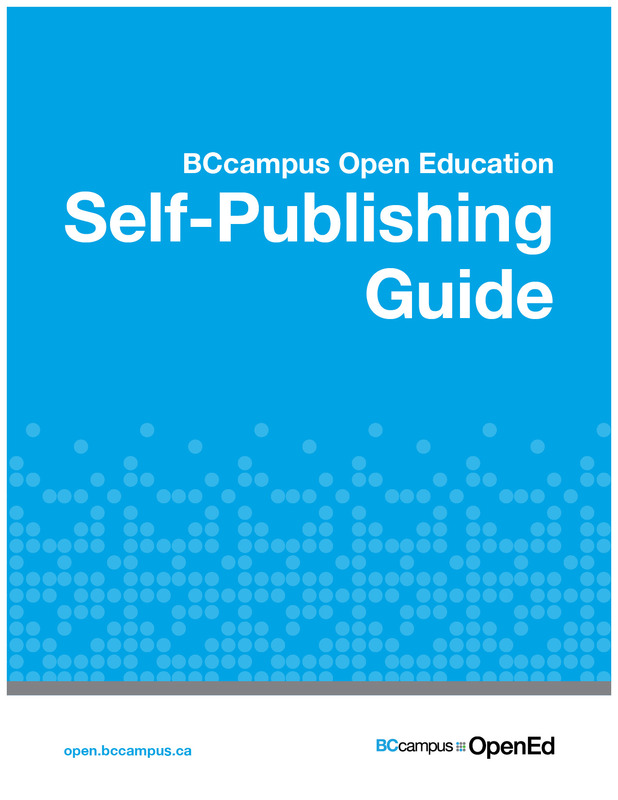 Book Description: The BCcampus Open Education Self-Publishing Guide is a reference for individuals or groups wanting to write and self-publish an open textbook. This guide provides details on the preparation, planning, writing, publication, and maintenance of an open textbook. Why Should I Give My Work Away? Self-Publishing Guide by Lauri Aesoph is licensed under a Creative Commons Attribution 4.0 International License, except where otherwise noted. The BCcampus Open Education Self-Publishing Guide by Lauri M. Aesoph is used under a CC BY 4.0 International Licence.